“He cried loudly to the pitiless desolation that ringed him around.” / “Yet the life that was in him drove him on.” / “His mirth was hoarse and ghastly, like a raven's croak, and the sick wolf joined him, howling lugubriously.” Three of the four illustrations by American artist Ernest L. Blumenschein (1874–1960) for “Love of Life” in the December 1905 issue of McClure’s Magazine. Scans courtesy of Carl W. Bell / Baylor University Library. 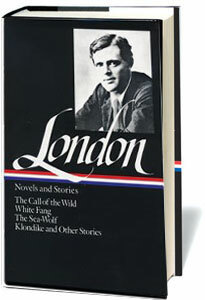 In the spring of 1906 Jack London received a letter from magazine editor S. S. McClure, who was inquiring about an article published in The New York World and inelegantly headlined “Singular Similarity of a Story Written by Jack London and One Printed Four Years Before a New Literary Puzzle.” The writer for The World noted similarities between Augustus Bridle and J. K. Macdonald’s “Lost in the Land of the Midnight Sun,” which appeared in McClure’s in December 1901, and London’s “Love of Life,” which appeared in the same magazine exactly four years later. “People are asking questions based on this parallel,” McClure wrote London. “Can’t you give us something to quote back at them?” Soon even Bridle had seen the article in The World (although, it seems, not London’s story) and wrote for an explanation. “Lost in the Land of the Midnight Sun” is not a story. It is a narrative of fact. . . . 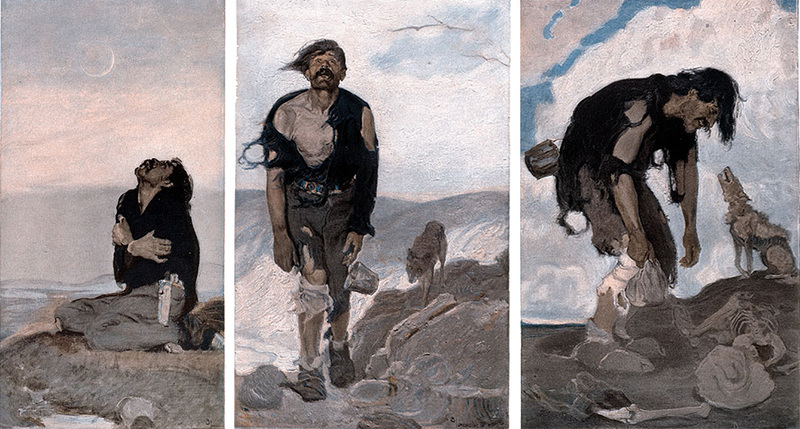 It tells the actual sufferings of a man with a sprained ankle in the country of the Coppermine River. It is not fiction, and it is not literature. I took the facts of life contained in it, added to them the many other facts of life gained from other sources, and made, or attempted to make, a piece of literature out of them. There was another narrative of suffering I used quite as extensively as I did “Lost in the Land of the Midnight Sun.” This other narrative was a newspaper account of a lost and wandering prospector near Nome, Alaska. On top of this, I drew upon all my own personal experience of hardship and suffering and starvation, and upon the whole fund of knowledge I had of the hardship and suffering and starvation of hundreds and thousands of other men. London closed his letter with an acerbic comment on how his accuser has something in common with authors like himself. “I, in the course of making my living turning journalism into literature, used material from various sources by men who made their living by turning the facts of life into journalism. Along comes the space-writer on The World who makes his living by turning the doings of other men into sensation. Well, all three of us made our living. . . .” In a postscript and in a subsequent letter, the author urged that his response be submitted to The World for publication; the newspaper obliged and the “controversy” seems to have died. In the end, of course, London won this battle over words, since—of all the pieces mentioned here—his short story is the only one that has stood the test of time. Note: The Dease River is in fact in British Columbia, far south of where London places it. The man is attempting to reach Fort Simpson, a Hudson’s Bay Company post on the Mackenzie River south of Great Bear Lake. They limped painfully down the bank, and once the foremost of the two men staggered among the rough-strewn rocks. They were tired and weak, and their faces had the drawn expression of patience which comes of hardship long endured. . . . If you don't see the full selection below, click here (PDF) or click here (Google Docs) to read it—free!